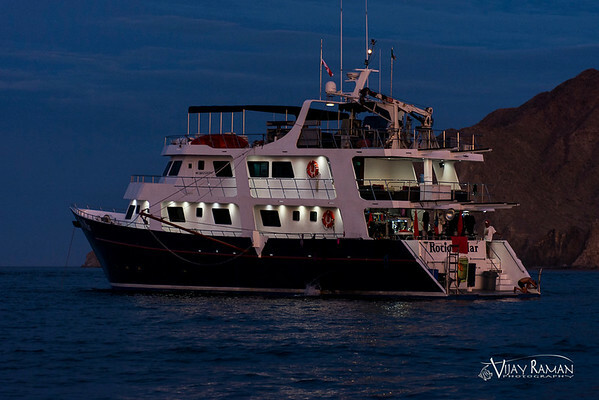 Join Vijay Raman for a week of diving in the Sea of Cortez, in what Jacques-Yves Cousteau described as “the worlds aquarium”. Duration- 7 nights, 6 full days of diving. Please contact me for more details, to check availability, or to book your trip. 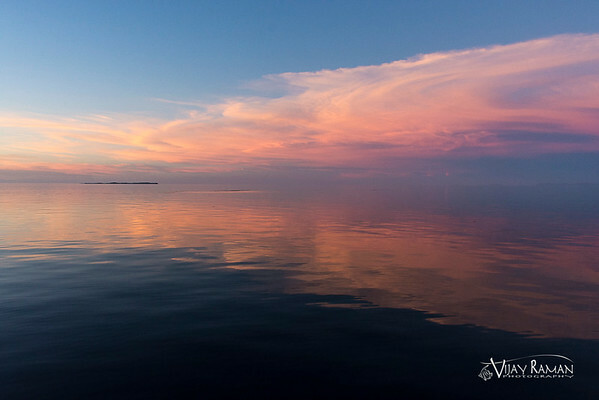 The remote Midriff Islands of the northern Sea of Cortez are rich with marine life. Here you will have encounters with beautiful reef fish, large schools of fish, amazing critters, like nudibranchs, sea horses and colorful shrimp, curious octopus, as well as several dives to play with friendly sea lions and a day in the presence of whale sharks, the gentle giants of the sea. If we’re lucky, we may have special encounters with mobula rays, dolphins and perhaps even sperm whale and other cetaceans. 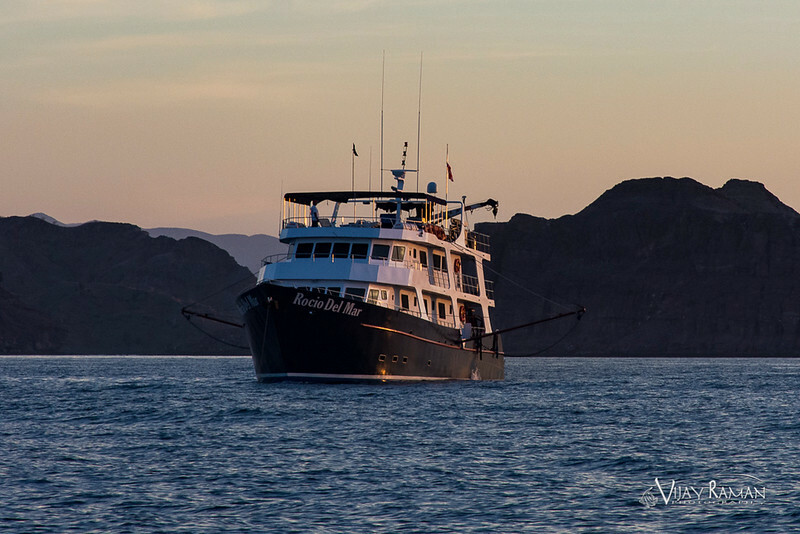 Enjoy amazing diving during the day, great food, beautiful sunsets and star filled nights, while being catered to by some of the best crew in the business, aboard the Rocio Del Mar. 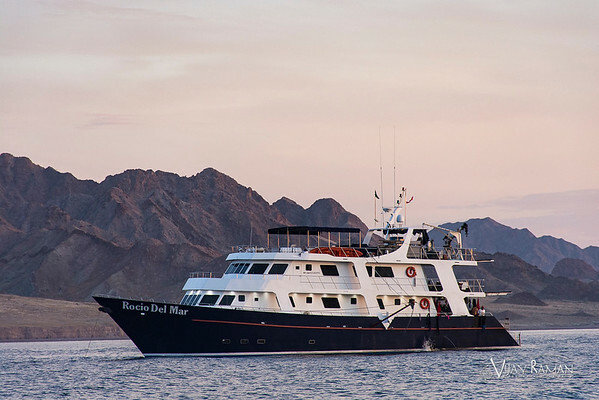 Spend 7 nights aboard the Rocio Del Mar, rated one of the top 10 liveaboards in the world by Scuba Diving Magazine in 2018. 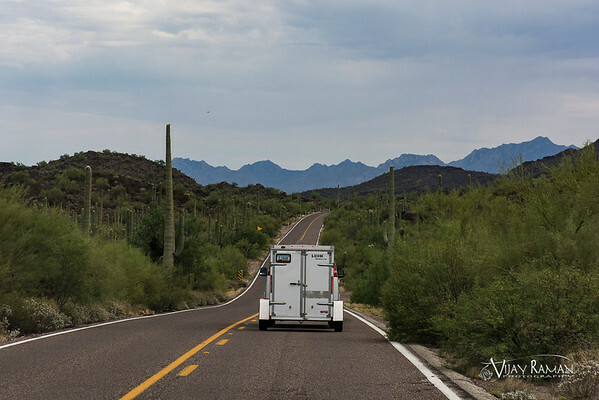 This is some of the the easiest liveaboard dive travel you can do from the US, with a 4 hour shuttle from Phoenix through the beautiful Sonoran Desert to Rocky Point, where you will board the liveaboard. You’ll stay in one of 10 comfortable air-conditioned cabins. Each cabin has twin or double bed accommodations, drawers for storage, private bathroom with hot water shower and large picture windows. Voltage onboard is 110 with US sockets. There is plenty of room to relax on the covered mid deck, media room or upper sundeck. All diving, food and beverages are included, with local beer and wine complimentary, after diving. 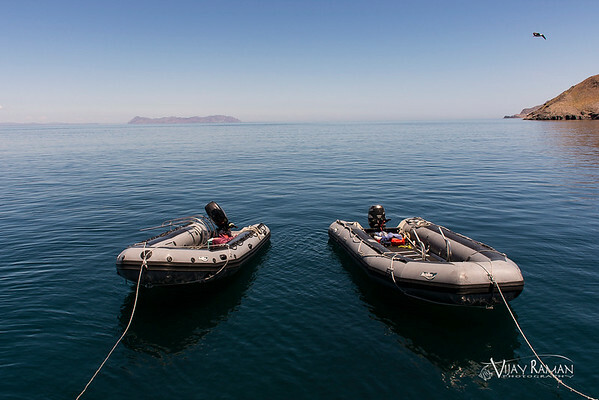 This is the peak season to dive the northern Sea of Cortez, with calmer wind and seas, better visibility and warm waters. Water temps will be in the low to mid 80’s and a 3mm wetsuit should suffice. 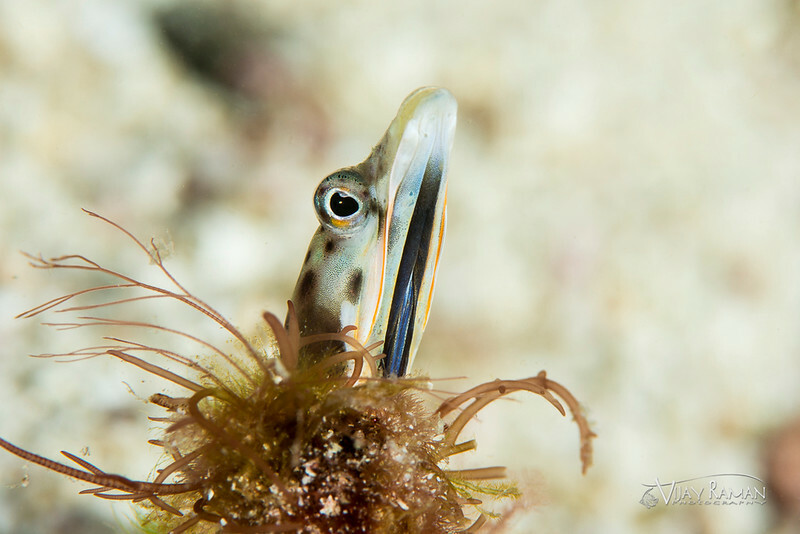 A hood or hooded vest will be useful for those that tend to get cold and for night dives. The Rocio Del Mar has a large, well-organized dive deck, including a large dedicated camera table. Each guest will have a dedicated space for their dive gear and workspace for camera gear. Dives will be conducted from two large Achilles inflatables. Dives are led by three dive masters onboard. 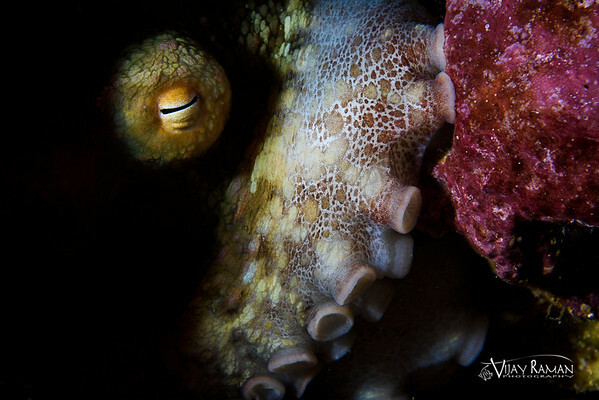 We will typically have four dives a day and an opportunity for two night dives. We will also have a day to snorkel with the whale sharks. I will be available for one-on-one photo assistance throughout the trip and may also conduct workshops and photo reviews, based on the desires of the group. • 6 days of diving, including a day of snorkeling with whale sharks. • Fuel Surcharge, if applicable- $100/person (very unlikely to be implemented). • Dive Insurance (required), Travel Insurance is recommended. Please contact me for more details, to check availability, or to book this trip.